Marc McKee, a professor in McGill’s Faculty of Dentistry and the Department of Anatomy and Cell Biology, and his team, along with collaborators from Johns Hopkins University, shed light on how certain biological structures - like terrestrial and marine snail shells - can have both clockwise and counterclockwise spirals, not only within the same species, but also within the shell of an individual organism. In an article published online in Science Advances, Professor McKee and his team constructed chiral (see “What is chirality?” description box below) helicoidal structures of the biomineral calcium carbonate (a mineral typically found in shells) by the simple addition of specific amino acids. Why is the spiral of Jeremy’s shell so important? Because it’s one example of a widespread phenomenon found throughout nature: chirality. Objects that are mirror images of each other are considered to be chiral if it’s impossible to superimpose them on each other. That is, whichever way you turn them, they will never be the same. 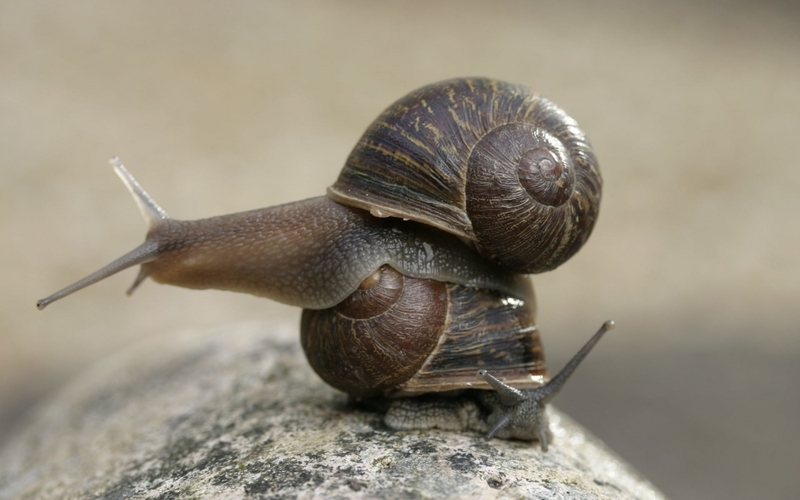 Jeremy’s shell, with its counterclockwise rotation, cannot be superimposed onto the clockwise-rotating shells of the vast majority of his fellow snails. Scientists originally hypothesized that biological helical structures – such as snail shells or the twisting tooth of the narwhal – could be explained by the actions of chiral molecules that caused them to spiral clockwise (left-handed) or counterclockwise (right-handed). 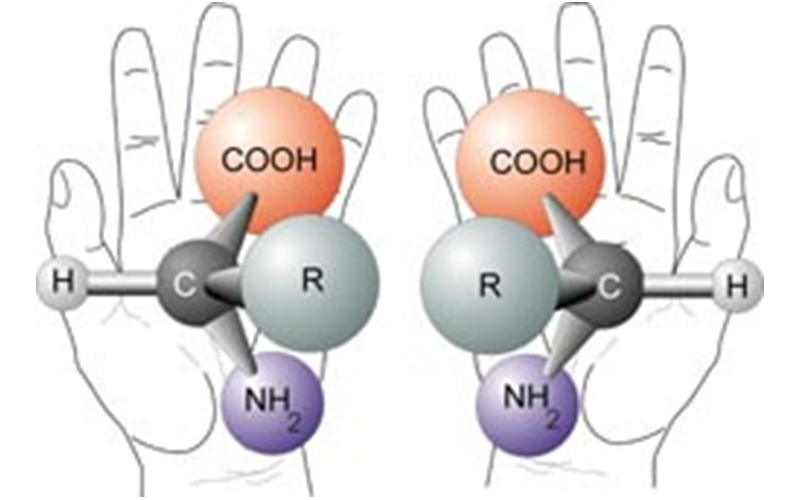 In nature, however, where both rotations can sometimes be found, this can’t be the case because only left-handed amino acids and biomolecules are generally involved in biological processes. "This work provides key information towards understanding how organisms can have biomineralized structures rotating in opposite directions,” says McKee, senior author of the study. “Our findings also give insight into pathologic chiral malformations that might arise in human otoconia, structures in the inner ear whose normal functioning maintains balance by gravity sensing and by detecting linear acceleration. Our work predicts how pathologic chiral malformations might arise in human otoconia and could one day be used to develop therapies for vertigo (loss of balance) based on this understanding”. "Chiral Switching in Biomineral Suprastructures Induced by Homochiral L-Amino Acid" by W. Jiang et al. was published in Science Advances.